Ever since I was a little kid, and Jaws was my favorite movie (still is, actually), I’ve been curious about sharks and Naval ships. That began with the scene of Quint telling about the Indianapolis disaster. I don’t care if I’ve seen it 200+ times, I will stop what I’m doing and watch and listen. And I do so even more now, throat closing up, because I know more about the true story behind what he revealed. The first of those published for public consumption was this book, published in 1958, with an afterward added in the late 1990s. Abandon Ship! is an incredibly detailed book about the Indianapolis disaster, especially at the start of it’s journey. 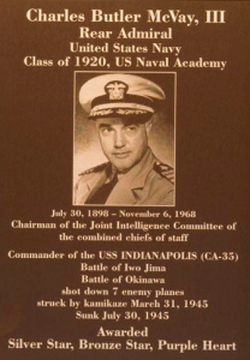 It says so much about the ship, it’s captain and some of it’s crew, what it’s secret mission was and who was involved in that…all the while, getting bits of the Japanese captain’s history and his own mission, which will lead him to intercept the Indianapolis and sink it. Okay, I’m sure that’s not a spoiler–after all, it’s just the first part. The rest talk about the ordeal of the men in the water, and the sharks which made the story so famous. Then there’s the rescue and the frantic scramble for an explanation about why the Navy bungled it and didn’t notice the ship was several days overdue. There is plenty of detail regarding the Navy and it’s regulations and faults at the time. Wartime secrecy and the rules regarding it really screwed the crew of the Indianapolis. More than that, the further I read, the more I started to compare the story to Pearl Harbor. It’s the way everything that could go wrong was going wrong: wrong place, wrong time, and the hubris which created oodles of very-wrong assumptions on part of commanders up the food chain. You could have a drinking game with the way the ball was dropped with this ship’s predicament, and Mr. Newcomb found a lot of drops. I’ve read some complaints about this book, that it didn’t focus enough on the shark attacks and stories of men in the water. A large part of the second half of the book describes the Navy’s response and the court martial of Captain McVay. For many veterans, this was salt in the wound in the years after this disaster. Most of the survivors were furious as to how their captain was treated, even as family members of the deceased blamed the Captain. I think it’s very important to understand what the hell happened, because that was one of the avoidable parts of this tragedy. And it makes the afterward section, written by Peter Maas, so necessary. Because of this book, the case wasn’t closed completely on the disaster. Crew members kept trying to exonerate their captain, even after his death, and it was the efforts of a junior high school kid that helped out. That part always makes my throat close when I think about this story, because when I see kids think they can’t do anything, this is my go-to story to tell them otherwise. Regarding the complaints about this book not focusing enough on the men in the ocean, there is a substantial number of pages dedicated. There aren’t as many stories as readers might expect, however, just a conglomeration of memories woven through the overall narrative. I’ve heard that other books about the disaster, like In Harm’s Way, have much more of an emphasis on the men’s four days in the water awaiting rescue. I haven’t read those other works yet, so I can’t say anything about them. However, I do think it’s important to keep in mind when this book was written. It was written in the decade after the event and published in 1958. While modern audiences are more prone to focus on the shark attacks and everything, audiences of 1958 might not have appreciated so many gory details. Also, there was the general reluctance of many crew to talk about the events. Over the years, more and more of them opened up about their ordeal, so much to the point where anybody who can do a Google search or watch Quint in Jaws knows what’s going on. Many men who went home after the war didn’t talk about what they saw or did. That didn’t really become an accepted thing until The Longest Day was published. Thousands of families thanked the author for helping them understand why their men couldn’t talk about what happened… which opened up avenues of understanding and healing. But that’s a book for another day. I have to keep that in mind. Books are products of their time, and indeed, Abandon Ship! seems to focus more on the overall disaster before, during, and after the Indianapolis went down. When he does describe the sinking and the time in the water, there is plenty of vivid description already. I think this one’s worth a read for sure. I’ve read it three times by now and I still tear up when I get to the ending. I’m not much for prayer, but I do find myself thinking up a few good words for Captain McVay, though he’s long gone and I obviously never met him. While most people know about the sharks, the U.S.S. 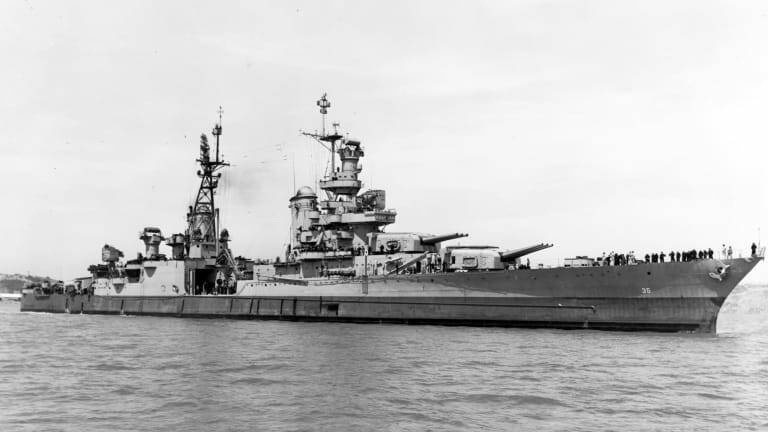 Indianapolis sinking was a catastrophuck, a disaster all the way around. Abandon Ship! is a great introduction to that story.